Glamping, is the perfect way to enjoy the great outdoors and at Box Tree Farm we have created a safe and family friendly site where you and your family and friends can relax. Our luxury cabins sleep 5 or 6 people and at just £80 for the 5 berth and £90 6 berth cabins, per night (minimum two night stay), coming to stay with us, is also friendly on your wallet. Box Tree Glamping cabins are fully fitted with comfy, covered mattresses, a small kitchen area with 2 ring hob, fridge, microwave, toaster and kettle. There is a table for eating inside, electric heater, power sockets, drying cupboard for boots and waterproofs and a DVD player for those inevitable rainy days! So all the creature comforts without the creatures. New for 2018, we are bringing hot water into the cabins with full central heating, making Box Tree perfect no matter the time of year. Outside, facing onto the field and play area, each cabin has a large wooden picnic table, firepit/bbq that can be converted into a log fire to keep you warm whilst toasting your marshmallows! Whatever the weather, you are guaranteed a comfortable and unforgettable glamping experience at Box Tree Farm. 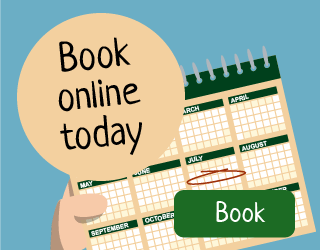 Glamping Cabin “Check In” time is from 3.00pm and “Checkout” time is before 11.00am on changeover day. We offer early check in and “Long as you Like Sundays”. Please call for details on dates this is offered.